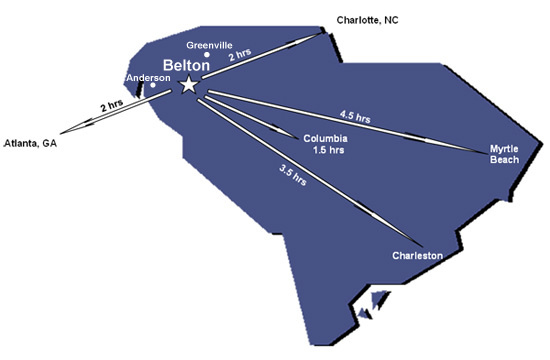 Belton, South Carolina, offers small town hospitality, a convenient location and a wonderful quality of life. The town of over 4,000 people is located on the eastern side of Anderson County and is within 35 miles of larger upstate cities, including Anderson, Greenville and Greenwood. Charlotte, N. C. is only 120 miles to the north and Atlanta, Georgia 130 miles to the southwest, and both are less than a 2 ½ hour drive via nearby Interstate 85. Numerous lakes are within 20 miles, including Broadway, Secession, Russell and Hartwell. Parts of the eastern Appalachian mountains can be reached in just over an hour and South Carolina’s great beaches are only 4 hours away. Several colleges and universities are located nearby, including Erskine, Anderson, Clemson, Furman, Bob Jones, North Greenville, Lander and Central Wesleyan. All offer outstanding academic programs and numerous cultural and sporting events. 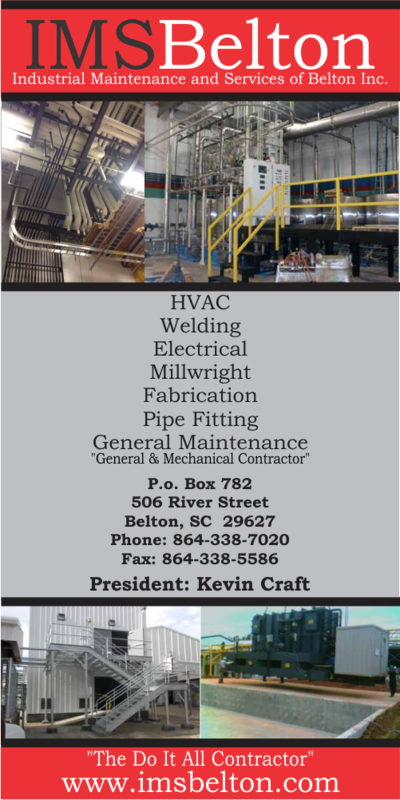 Come see us…..you’re always welcome! For driving directions to Belton, fill out your starting location here. For additional general information about South Carolina, please visit SCIWAY.